Three of the world’s most important tropical river basins — the Amazon, the Congo and the Mekong — are experiencing an unprecedented boom in the construction of hydropower dams. According to a paper by more than three dozen scientists from universities, research institutions and conservation organizations around the world, which will be pubished tomorrow in Science magazine, these projects pose a major threat to biodiversity, including to one-third of all the world’s freshwater fish species. The authors say long-term impacts of tropical hydropower projects are rarely assessed adequately and call for better — and more transparent — planning that more accurately evaluates the full costs of these dams. Without this, the authors write, these projects will lead to species extinctions, as well as significant declines in fisheries and other “ecosystem services” on the world’s “mega-diverse” tropical rivers. Photo by Kirk Winemiller According to the forthcoming Science paper, the Belo Monte dam “may set a record for biodiversity loss” owing to its siting at a location with an exceptional number of endemic species. While most of the 838 existing dams on these river systems are relatively small, more than 450 new dams are currently planned for the Amazon, Congo and Mekong Rivers — about 75 percent of these in the Amazon. The paper’s authors contend that those planning the dams “have generally failed to assess the true benefits and costs of large hydropower projects,” leading both to financial cost overruns and underestimation of environmental and social costs. Those costs can be high — the dams take a toll on biodiversity, and damage to fish populations can threaten food security in local communities that depend on the fisheries. For example, the Xingu River in Brazil, which is a major tributary of the Amazon, includes a complex of rapids that Winemiller says “provides habitat for about four dozen fish species found nowhere else on earth.” The paper notes that altogether, there are nearly 1,500 endemic species found in the Amazon Basin. According to the paper, Brazil’s massive Belo Monte dam, which is due to be completed this year, “may set a record for biodiversity loss” owing to its siting at a location with an exceptional number of endemic species. “This controversial project is nearing completion and will radically change the river, its ecology, and the lives of local people, especially indigenous communities that have depended on the river’s ecosystem services,” said Winemiller. At least 334 new Amazon dams have been proposed in addition to those already operating and under construction. 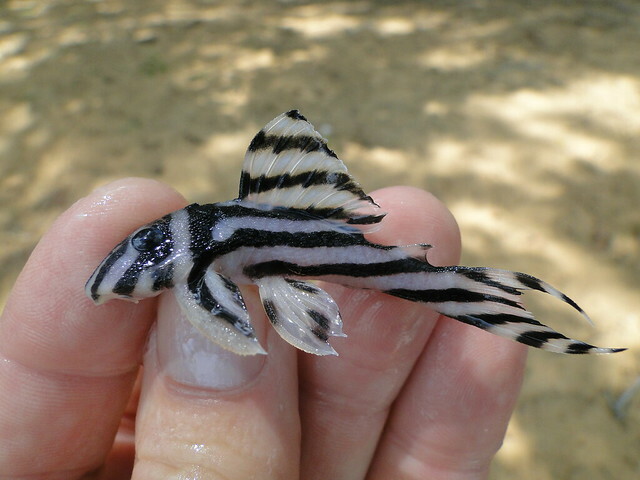 Photo by Kirk Winemiller A small catfish, the zebra pleco, that only occurs in rapids of the lower Xingu River in Brazil. The Belo Monte dam will destroy or severely degrade most of its habitat, along with that of dozens of other endemic fish species. In the Mekong River Basin, which is already heavily dammed with some 370 dams, there are plans for almost 100 more, including nearly a dozen dams on the river’s main stem. The Lower Mekong River currently supports important inland fisheries, recently estimated to be worth about $17 billion a year. 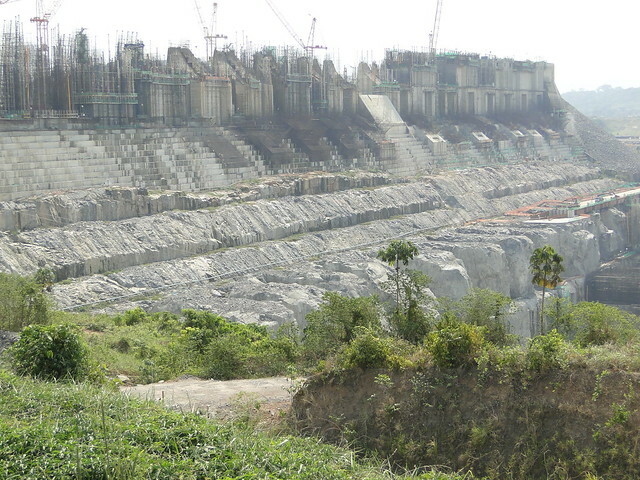 The dam building planned for the Mekong will disrupt the movement of the river’s migratory fish — blocking their ability to move between their wet and dry season, and spawning and nursery, habitats. The dams will also disrupt livelihoods. More than 3 million people living in Cambodia, Laos, Thailand and Vietnam are directly involved in these fisheries, said Winemiller. Many more of the 60 million people who live in the Mekong River Basin depend on the river in other ways as well. It is well known that dams block fish passage and disrupt river hydrology, which in turn upsets rivers’ ecological balance and the ability of fish and other aquatic species to access floodplain and nursery habitats. But the full measure of these impacts throughout a river basin are usually poorly accounted for by those building dams, say the paper’s authors. “We have a lot of evidence on specific projects but there have been few global assessments or large scale assessments like this article on three large river basins,” International Rivers interim executive director Peter Bosshard told Earth Island Journal. As Bosshard explained, “There isn’t a lot of money for scientific research on these issues,” and such research — including environmental assessments — needs to be done before full dam construction begins, but that often doesn’t happen. In many cases, he said, “millions, sometimes scores of millions of dollars have been spent” and a “river may already have been diverted,” before an assessment is completed. “By that time it’s almost impossible to stop a project.” He also pointed out that on many of these projects, assessments are not done by an independent third-party but by companies hired by those building the dams. The World Bank, which helps finance many dam building projects worldwide, was not able to comment on the not-yet-published paper but offered a summary of a 2014 World Bank report on hydropower. It says that “Hydropower production is the least-cost method of providing electricity in many developing countries” that in some places may alleviate local poverty and improve food security. However, it says, hydropower “can also carry significant risks” — challenges that have become more pressing in the last decade.